It is made of three layers of foam and composed as independent elements identical in shape and size. The elements can be placed together in various ways to obtain a large variety of configurations. The soft elements are able to create big and large sofas in terms of dimensions and comfort as well as individual elements. Could be done for outdoor. Anchored in a world of story-telling, Samer Alameen’s work is inspired by history, treasured memories and a sense of tradition. It’s a combination that stems from his extensive background in advertising, which originally led him to become a creator himself. Samer reinvents the objects he creates: his process is witty, concise, contemporary and refined, adding a new layer of purpose and context where appropriate to traverse both exclusive handmade and one-off pieces alongside those that are industrially produced. 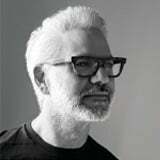 Born in Beirut-Lebanon in 1971, he graduated from the Lebanese American University with a double major in Fine Arts and Advertising in 1992, going on to work for a variety of prestigious agencies including Publicist, Grey Worldwide, McCann Erikson, Levant, Gulf and North Africa. In 2006, Samer launched his own studio specialising in branding and image consultancy with a client list that extended across the textile, retail, mall, banking, real estate, food and jewellery sectors. It was in 2012 that Samer decided to launch his own designs and his first collection, Walking Objects, was inspired by the Khayzaran chair. Straight away it received media attention from the likes of Elle Deco and AD and encouraged him to go on and complete a Masters Degree in industrial design at Scuola Politecnica di Design (SPD) in Milan. In January 2016, Alameen launched his studio in Milan and have since participated in several exhibitions (collective and solo).